Next month we will be announcing our new programme for late 2015 / 2016, decisions will me made over the next couple of weeks. Its an exciting time where we have to juggle availability of actors, casting requirements, licensing availability and, of course, plays that will entertain and fit all of the above. Meanwhile why not ensure you are kept up to date with our announcements and be among the first to find out about our new season by simply entering your email in the box on the front page? 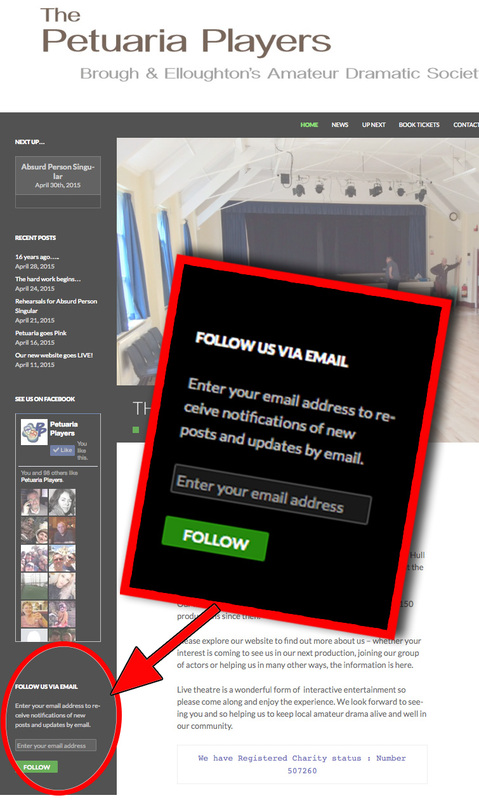 That way you will simply get an email whenever we update the website – easy!